This film made my girls cry and that's alright. 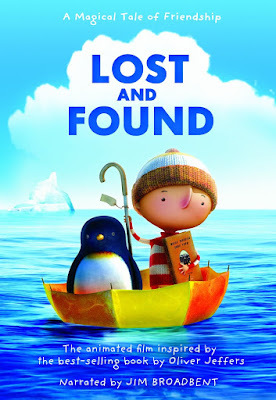 Lost and Found is a classic boy meets penguin tale, a tale of loneliness felt and friendship found...and a beautiful tale throughout. That's what made my girls cry – the beauty of it. Their tears gave mom and dad an opportunity to explain to these two little misses that crying is not always linked to sadness, that beauty can indeed be tear-inducing, and then it is something, strangely enough, to be enjoyed. This lesson wasn't entirely lost on them, and also not entirely understood either, but it was a good first exposure to this curious truth. The story itself is simple. Lost penguin arrives on boy's doorstep. Boy briefly tries to get others to help penguin, but then decides to do it himself. He builds a boat and rows to the Antarctic, where he drops off the penguin and heads back home only to realize that the penguin wasn't lost after all but had shown up at his house because he was lonely. Boy returns to Antarctic, penguin hops in boat, and the two head off together for what looks like the beginning of a wonderful friendship. Adding to the charm is the minimal narration and complete lack of dialogue - this is almost a silent film, with only the character's body language and facial expressions to guide us. While rowing to the Antarctic boy and penguin encounter a huge storm, and the scene lasts for nearly 5 minutes, which put my 6 and under set on the edge of their seats. It was a bit much for them, but because I had previewed the film I could tell them it all worked out. That was just what they needed to make it through a scene that otherwise would have been too scary...especially when the giant scary-looking but friendly octopus arrives. The only other caution would be about the size - this is sometimes advertised as a 50+ minute film, but that's only so if you include the special features. The film itself is just 24 minutes. Our whole family loved it. I would recommend it for anyone 4 to 104. 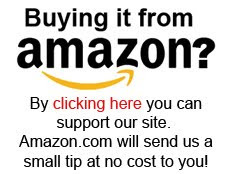 You can buy it on DVD as Amazon.com by clicking here.